Intro II: Core Purpose, Values, and Principles. 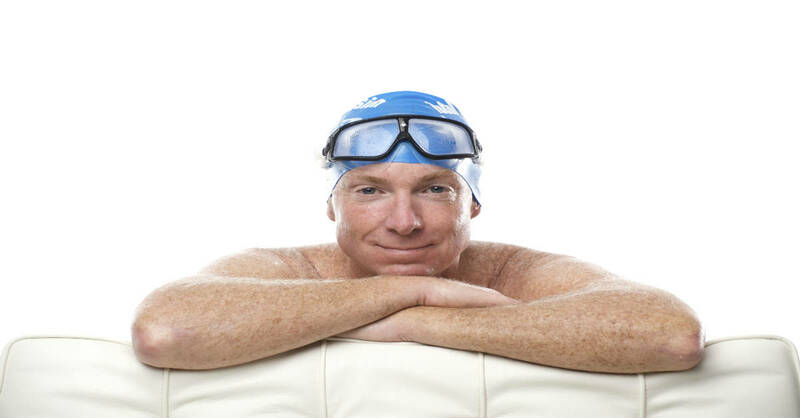 It should be evident from the first part of the introduction that I consider swimming to be far more than a way to get from one end of the pool to the other, to burn calories, win races or begin a triathlon. Seeing what it’s done for my life and the lives of others has led to a conviction that swimming has special potential to serve a higher purpose. Any activity with that sort of potential should be done in an examined and artful manner. Be clear on your reasons for doing it and clear on the best way to fulfill those reasons. I founded Total Immersion in 1989 with a relatively modest purpose—to offer an adult version of kids’ summer camps–but the experience of our students opened my eyes to potential I’d never suspected in the 25 years I’d spent swimming and coaching previously. That insight led eventually to an undertaking that took several years and involved input from many people–defining our Core Purpose as a teaching organization and finding a way to express it succinctly and simply so anyone (teachers and swimmers)reading it would have instant clarity on what we do, why we do it, and who we do it for. And, equally important, what we don’t do and why. From that we developed Core Values to guide our actions and keep us true to that purpose. I’ll share those here to provide a succinct guide for interpreting—and a standard for judging–every idea or suggestion you find in this book and as a template for you to define your own core purpose and values for swimming (and perhaps, by extension for living). To enable the greatest number of people to live longer, happier, healthier lives through mindful, purposeful swimming. To retain a passionate curiosity about swimming and inspire the same in our students. To make sense of swimming: We must provide clear, simple, logical reasons and benefits for anything we teach. Commitment to Kaizen: We must strive to continuously improve our methods and tools, our coaches, and our students. To inform, empower and inspire swimmers so they are self-motivated and self-reliant. To share a vision of swimming that excites, uplifts and inspires. Core Principles are a list of 5 (a longer list would likely include items that aren’t really core) essential and enduring tenets that guide thought and action. They should apply to any swimming goal you set, remain valid whether you’re a novice or expert, and resonate as strongly in 30 years as today. Their most valuable function is to help you sort through any possibilities, options, or choices that come your way; evaluate any information or advice you receive; answer any question that arises; and, most critically, to ensure that your actions align with your intentions. While the Core Purpose and Core Values were composed to guide an organization, the Principles guide your relationship with water. I state them succinctly here. In the chapters that follow, I’ll explain how we arrived at them. As you review them, consider your swimming experiences until now—how you’ve swum or how you’ve heard you should swim–and what principles they imply. Do they make sense? Do they take you where you wish to go? Practice economy and sustainability. Seek to do less, before doing more. Conserve–before generating or expending–energy. Reduce resistance before increasing force. Stroke more slowly, before faster. Never practice struggle. Work with, not against, the water and external (or natural) forces. Move like water. Focus on brain more than body. Work smarter before harder. Building better ‘circuits’ in your brain is the key to improving skill, endurance and speed. Swimming should make you feel good physically. During your swim, immediately after swimming, and over the long term. If not, review the first three principles. As we were distilling experience into a set of principles for swimming well, we noticed they make pretty good guides for living well too. Compared to the INTRO1, these five principles are weak. Too stereotype Power-Point-breakdown method. I would suggest the other way. Breaking molecules, feeling the gravity and getting into “flow”. All these great concepts should be inducted up to the sole principle. Not deductive way down to five. “Happiness” is the really final principle, but I want to see a word driven directly from “swimming” here. What is swim? We are pursuing to answer this question as physicists do for the same kind of question: What a heck is “power”?. The frank feedback you’re offering is exactly the kind I’m seeking. I understand, and agree with, your thrust entirely. However I felt I could address the points you raise more effectively in the chapters to follow. Keep following and let me know if I don’t do that satisfactorily. Thank you. I have been ambitious to read “Zen and the Art of Swimming”. I think your book will get me. I would use some analogies from other sports or activities to illustrate the concept of “joyful” strokes to people who haven’t already experienced it. I swim with two friends and perform in the middle of them on time but am the only one who wants to swim everyday. Whereas they are too tired from work or traveling to workout in the pool. I need to spend an hour swimming to feel good and refreshed after a days work or travel. How effortless does the 3 point basketball shot feel when it goes in, or a dart when it hits treble 20, or a golf swing that exactly hits the sweet spot (or even completing a level on a computer game or destroying an end of level guardian). You get a sense of calm adrenalin in your body from performing something with perfection. but these sports offer this feeling a few times in a match depending on your skill level. Total immersion offers that rewarding feeling in the body 40-70 times a minute!!! Furthermore, the active glide element of the stroke is why total immersion swimmers enjoy swimming more, it gives your body time to acknowledge a great stroke/balance/streamline and thus send happy thoughts to the brain similar to the basketball/dart or golf shot. Andy I don’t know what it means to ‘destroy an end of level guardian’ but you beautifully articulate the rewards of Patient Pursuit of ‘Perfection.’ Your phrase ‘a sense of calm adrenaline’ exactly captures the feeling that motivates me to continue that pursuit 45 years into my swimming experience. Your comments have so much value that I’m going to make them the basis of a blog all their own, quoting you extensively.